Meet Aaron Young, Chairman of Laughlin Associates. Learn how real estate investors and all small businesses should consider the importance of setting up a business structure (legal, operations, systems, etc) that will stand the test of time. Join the conversation on some common mistakes that you may be making today, without realizing their importance. Listen in as Aaron talks about how to minimize your risk and set up your corporate fortress. Mike: Hey, it’s Mike Hambright with FlipNerd.com. Welcome back for another exciting Expert Interview where I interview awesome guest in the real estate investing industry to help you learn and hopefully inspire you in your business. Just a quick reminder of our upcoming REI Power Summit. It’s going to be one of the largest real estate investing events ever, 100% online. You can watch it from anywhere. In fact, you get access for 12 months if you can’t watch the speakers real time. We have over 50 great speakers so far and lots of great content. So check out REIpowersummit.com. For today’s show I’m joined by Aaron Young. He’s the CEO of Laughlin Associates. And Aaron has served as a strategic thinking partner for over 80,000 business owners where he helps owners with corporate structuring, business operations, asset management, growth strategies and a whole lot more. And real estate investors are notorious for being set up all wrong and just flying by the seat of their pants and not protected when they need it the most. And so we’re going to talk about some of those things today. Aaron’s going to share how you can build a corporate fortress and specifically we’re going to talk about some things like, how to minimize your taxes and how to maximize your legal protection. Really how to set your business up for the test of time. So before we get started with Aaron though let’s take a moment to recognize our featured sponsors. RealtyMogul.com is an online marketplace for real estate investing, connecting borrowers and capital from accredited and institutional investors. Get a rehab loan fast and close in as little as 10 days with rates starting as low as 9%. For more information call 888-296-1697. B2R Finance makes loans tailored specifically for rental investors. They can help you unlock equity from existing properties so you can get cash out to grow your rental portfolio. That’s huge and it opens up lots of opportunities previously not available to rental investors. Need a loan? Call 855-819-4412 or visit B2RFinance.com today. AceBusinessFunding.com can help you get up to $150,000 in revolving credit lines to fund your business with rates as low as 0% for the first 12 to 18 months. Use the funds for startup cause, marketing or inventory, or almost anything your business needs, if you can’t get funding, you don’t pay a dime. Get funds for you’re your business today at AceBusinessFunding.com. We’d also like to thank Colony American Finance, National Real Estate Insurance Group, and VirtualStaffNow.com. Hey Aaron welcome to the show. Aaron: It’s great to be here Mike. Thanks so much for having me on today. Mike: Yeah, yeah. It’s exciting now. We were talking a little bit beforehand and we’ve talked about this a little bit it on the show in the past but a lot of real estate investors, there’s always a question of what type of entity do I set up? And I think if they asked 10 different people, they get 10 different responses and a lot of folks even myself we bought hundreds of houses. And the way we set it up initially is not… there are some reasons why we did it, but it’s not how we would set it up if we were to do it today. And even sometimes when people make a decision it’s based on information at that time, and it gets hard to change down the road. So we’re excited to have you and talk about some of these important things. Aaron: Well, great. So let’s get started. What would best help the people that are listening to the program today? Mike: Yeah. I think one of the things… first why don’t we talk a little bit about you and your company and what kind of services you provide in the context of helping us understand your expertise. Aaron: Sure. Thanks for asking. First of all I’m a life-long entrepreneur. I actually started my first little business when I was in high school. But that was with a bunch of high school students, like Tom Sawyer getting everybody to paint the fence with him. But I started my first real company with a payroll and so on at 18. I’m 51 years old now. I’ve never had to apply for a job or have a resume or anything like that. So I’ve done a lot of interesting things over the years. Back in ’97 I got into the corporation business forming corporations and LLCs for business owners. Started doing it and bought a company in Nevada and then a couple years later bought a company called Laughlin Associates which had already been in the industry for many, many years. As a matter of fact, if you’ve ever heard that Nevada is a great place to form a corporation, Laughlin, Harley Laughlin started all of that back in 1972. So when he passed away, the company became available. Their lawyer called me. My business partner and I bought that company in 2001, spread it out so that we didn’t just do Nevada, we did all 50 states and we went really from just being in a corporation firm, to a company that now helps you figure out the right entity, get into the right entity, follow all the corporate rules and regulations you need to follow both on a national state and local level, and all the way to corporate credit, corporate funding, corporate strategy. And when you get big enough and you want to sell your company, we help you build the exit plan and help you find buyers, or sometimes we buy the companies ourselves. So we really are kind of a cradle to grave or inception, startup mode, all the way to selling the company, firm. And as the chairman what I do mostly is I spend my time travelling around giving talks, and occasionally going to the office. I go to the office maybe once a quarter. Mike: Yeah, yeah. Well I’m glad we’re keeping you out of the office today. Aaron: Thank you, we’re on the farm today. I love being on my farm. Mike: You know what’s interesting, I guess I have a somewhat mature business. I’ve been doing it for a while, and I get this feeling that… I’ll give you an analogy. So I have some family members that self diagnose everything. They feel a little something or they’ve got a cough and they go to WebMD and they’re like all of a sudden they know exactly what medication they need, and they know what they’ve got and it’s like, “Well isn’t that symptom like… that could be like 50 things. So I think a lot of real estate investors are or a lot of small businesses, they might form their own entity on Legal Zoom, or some place and they’re just trying to check a box. Okay, I know I need an entity, let me do that. But one of the things that I found is and just to make it clear, we’ve never worked together, but I value advisors to my business more than I did certainly early on. And all it takes is getting lawsuits, or getting sued, getting an IRS audit, getting all sorts of those things which over time unfortunately I have had a little bit of all those things, for you to realize that, wow, if we had taken some time up front and really worked with the right people, maybe we would have avoided some of these things. And I think that a lot of real estate investors fall in that space. They don’t really know what they have, or what they need until they need it most I guess. Would you say that’s probably true of a lot of small businesses? Aaron: I’d say that’s true of all small businesses… virtually every small business. First of all can I just… it’s funny that as soon as you said self-diagnosis, this thing started going in my head and then actually said the name WebMD. My best friend started WebMD and he came to me with the original idea before I owned Laughlin. But he came to me with that original idea and the Internet was brand new. And then it was all going to be about chat rooms for people with like breast cancer, or fibromyalgia. I said, “How are you going to make money with that?” He said, “I don’t know, but I think it’s a good idea if we just get them all talking and we’ll figure how to make money.” Bill Keller, he’s being my best friend since I was 14 and so WebMD has been a part of my life. Mike: Yeah okay. Small world. And the problem that I see with business owners, and we serve tens of thousands of them, whether they’re in real estate or medicine or online or whatever is, that most of them get started because they’re good at doing something. And they just start doing it and somebody says, “Be an LLC,” and they go, okay, and they go to Legal Zoom or whatever and do that. And then because they didn’t begin with the end in mind, they end up having to often make adjustments, or find out that they thought they had protection, they thought they had the best tax situation, they thought they could do these kinds of deductions, whatever, and then they find out that they can’t. They thought they could get these sorts of investors, but they’re the wrong kind of entity to accept money from that foundation or that uncle in Canada or whatever. Because they just jump in without trying to get any advice, they end up, at the very least having to go back and get started again, if not, end up finding out, “Oh I’ve lost thousands of dollars to the tax man, or hundreds of thousands.” Or worse, the worst thing is, you mentioned lawsuits, the worst thing is you get in a lawsuit and find out your company won’t protect you. Not because you didn’t pay your bill to the state every year, but because you didn’t know the rules to follow and consequently didn’t follow them. Mike: Yeah. And I think for a lot of real estate investors, or a lot of folks that they’re getting started, they’re just totally bootstrapping it and some of it’s a cost issue. Some of it quite frankly is back to the self-diagnosis thing, is people may chat that in a Facebook group or somewhere else and they get 10 different responses that tell them 10 different things. Even myself personally, whenever we’ve set up new entities for different things like rental properties, I get the totally opposite advice from my attorney than I do from my tax advisor for example. People that are very capable give you different advice based on their, I guess their areas of expertise. Aaron: Well, you know that your CPA, your tax advisor is giving you what… okay, remember a CPA and I love CPAs. We work with zillions of CPAs and lawyers. And what I know is that CPAs tend to think about things, how is it going to be the easiest to report? What’s the simplest way to report to the IRS? Lawyers will mostly tell you what you can’t do. And again, I love lawyers, some of my best friends are lawyers and I work with over 100 law firms at Laughlin Associates. But lawyers are really good at telling you what you cannot do, because they don’t want any liability on themselves. Why? Because they’re clear that it’s a very litigious country we live in. And so what you need to do as the business owner is to be thinking about, okay, what is the goal I’m trying to achieve? And if you have all your business points figured out and mapped out, and this is where it’s good to have somebody that’s gone down the road before you. So the reason you hire a Sherpa to take you up Mount Everest, because they’ve already done it 100 times, this your first time and you could die if you do it wrong. So you get somebody and you just step into their footprints, and follow what they’ve already done. Well, if you do that and then most people that I meet are very willing to defer any intelligence they have, and give it over to the lawyer or the CPA to make a decision for their business. Instead of saying “I’m hiring you, I’m paying you $350 an hour, here’s what I want you to do for me. Make this happen.” They say, “Tell me what to do, tell me what to do.” And then they get… anyway, they end up getting bad advice. And the reason isn’t because it’s not a good lawyer or good CPA. It’s that most lawyers and most accountants don’t think like business owners. They think like a service provider. So it’s good to talk to a plumber about plumbing, but it’s not really good to talk to them about building the entire house, because they don’t know about building the whole house. Talk to somebody who’s built companies before, successfully built companies, not have their backside handed to them over and over again. Somebody who’s actually been successful, they’ll tell you, and they use lawyers and CPAs as lieutenants to get work done rather than the general bossing everybody around. Mike: Sure, sure. And one of the tricky things with real estate specifically in my experience, especially if you’re holding rental properties is the structure, without getting a lot of detail about my businesses but the structure we have our rentals in we wish we actually didn’t have, the structures that we wish we did have, the only way we could get there is by triggering a sale. And so we would have a massive tax bill, so we’re kind of limited now what we can and can’t do. 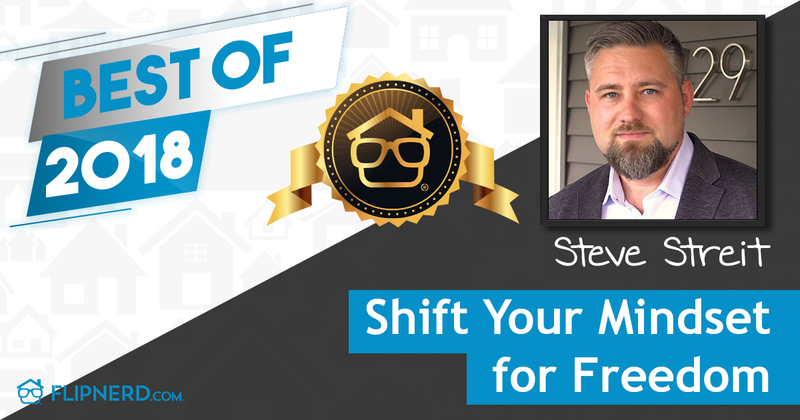 And that’s one of the issues I think real estate investors face is it’s not as easy as… I think it’s up front people to say, “Well if I need to do it differently down the road I’ll just change it.” And it’s like, well it’s not always quite that easy. Maybe you could take us down a path of talking about a lot of our audience. I know you work with a lot of small businesses, not just real estate investors. But if you think of our audience here at real estate investors, and a lot of small businesses that serve real estate investors, title companies, attorneys, lenders all those things. They all have the same issues. Maybe you could kind of give us some advice on how to… if you’re brand new, how to think about setting that up, and if you’re down the road, some things to think about that maybe you haven’t already. Aaron: Sure. Well, first of all, if you’re in real estate investing, the first thing you want to… let’s just give you a few kind of pieces, just little chunks, we’ll set those aside and people can think about them and then we’ll see if there’s a way to put them together. One is LLCs limited liability companies are super popular, and especially in the real estate community LLCs are very, very popular. Here’s something that most people don’t know, that a one member LLC, if that’s your operating business, so I Aaron Young, I just go set up an LLC by myself, and I’m going to start investing in real estate. That’s a bad scenario because one member LLCs are considered, in the law they’re called a disregarded entity. Which means from a lawyer’s perspective or from the court, they look right through the LLC to the one member, or from a tax perspective they’re considered a pass through, kind of like an S corporation. Any money that goes in there just passes right through and they ignore the LLC. That’s a one member LLC, not a good operating business. Mike: Yeah. That was news to me when you said it. Aaron: Okay. So that’s the first thing. Now, let’s go extrapolate that a little further on LLCs. LLCs, your CPA will tell you, are great because they don’t have to do corporate compliance. That is to say they don’t have to have board meetings, keep minutes, pass resolutions and so on. And that’s true statutorily. In other words the law, and I think all 50 states says that LLCs don’t have to do, what they call corporate formalities. However, there’s a kind of law that supersedes statutory law, and that’s called case law. And in every state in the United States case law says that limited liability companies, LLCs, have to keep corporate formalities. Okay? So most of us as small business owners, especially if there’s one owner, or it’s spouses that own, you have one business partner, the idea of having a formal board meeting where you sit down and let’s call this meeting to order, right? Let’s call the roll here, okay, good we have a full quorum, we’re ready to go. And I’m here by myself. The idea of having a conversation where we say, “Hey, I’d like to bring up for discussion here in our board meeting that Mike,” well, I’m going to use me. “We think that our employee Aaron Young ought to be able to get a car allowance. He’s driving all over the place looking at vehicles, using his own gas, I suggest the company ought to do that.” “Well I don’t know. He might stop off and do personal stuff, go see his mom and dad, go to the kids baseball games.” “Well yeah, but we’re going to lose them if we don’t help them out with his expenses.” We’re not going to have that kind of a conversation. We’re not going to do it because it sounds like we’re schizophrenic. But the fact is, the law says that even a one member of a board company, only one board member, it could be just, you’re the shareholder, you’re the board member, you’re the president, you’re the only employee, it’s just you. And I bet that sounds like a lot of people listening to this too. The law says that you have to treat the corporation as a separate entity from yourself. And if you don’t follow the same rules that General Electric, Apple, Disney, they follow as a board, if you don’t follow the same rules, you don’t get the protection that you want as a corporation or LLC. You want the corporation to block your personal wealth from some problem the company would have. Or if somebody comes after you, you rear end somebody driving down the freeway or something, you don’t want your company to get lost, you don’t want your real estate to get lost, because somebody finds out you own this company that has a bunch of real estate. You want that what’s called the corporate veil. You want it to protect you. But it will not protect you if you haven’t acted like a real corporation, a real LLC. So that’s something almost nobody knows until it’s too late. We have over 46,000 clients at Laughlin Associates, they’re all 100% business owners, and many of them are what I call event-driven. In other words, some horrible event happened in their life, and they’re like, “Oh my hell, that can never happen again.” Right? Mike: Yeah. That sounds familiar. Aaron: I see these sad stories all the time and it’s like it’s so easy to fix it, you can do it yourself or you can hire it out. It’s not expensive. But most of us just don’t even know what we’re supposed to do, so we can’t be… we think we can’t be held responsible for what we don’t know. But the fact is, ignorance is no excuse for the law, right? You’ve got to know the rules. And if you want the tax deductions, you want the law suit protection, its real simple. Act like a real company, quit acting like the business is just your alter ego. Mike: Yeah, yeah. I know and my wife is our internal legal counsel, even though she’s not an attorney in any way, but she plays that role. She always reigns me in and things like that. But I would say that one of things that we do, is we have several different corporate entities, and we do have… this is the nerdy side of us. So we have a day every year where we literally schedule it, and we have a series of board meetings where we show our companies and there’s a lot of [inaudible 00:20:39] like our companies work together. So we do some of those things. We say, “Well this company is going to pay this company a management fee because of certain things that it does.” And I think for folks that are listening that need to do some of those things and document them like you’re saying, I’d advise people, just put on the calendar, you have recurring meeting with yourself or your spouse, or your business partner or whoever it is and just document those things. And we still have a file somewhere in case we need them. I’m sure there’s a much more advanced way. Aaron: Let me just give you a little bit more information. Aaron: If your corporation… remember, an operating agreement for an LLC won’t say this because statutorily it doesn’t have to do corporate formalities. Corporations obviously have to do them and it will say in your bylaws, if you have bylaws, if you went on to Legal Zoom or you went down to the Secretary of State, you probably don’t have a corporate record book. I’m not saying you, but the people listening. They probably don’t have a corporate minute book, they probably don’t have stock certificates, they probably just have the Articles of Incorporation for when they filed. They don’t have bylaws. But you’re required by law to have all that. Okay so if you’ve never issued yourself shares, or membership certificates and an LLC, if you’ve never issued those, written on them and take them out of your book and put him somewhere else, then you don’t own the company. Okay? Now your bylaws will tell you Mike, that a resolution must be passed at or near the time of any major decision. And major decisions, especially in a small company, can be something as simple as we’re going to lease a vehicle, we’re going to lease a piece of office space, we’re going to borrow money, we’re going to take investor money, we’re going… every single time. Not once, every time. There are over 200 different items that are required by law to be memorialized in resolution firm and they’re supposed to be done at or near the time of the decision. So while it’s… if you’re doing an annual shareholder meeting, you’re about a million miles ahead of the pack. Okay? But you really should do a meeting at or near the time. So a monthly shareholder meeting would, or not a shareholder meeting, a monthly board meeting, an annual shareholder meeting, a monthly or at the worst case, if you have an LLC that just has a rental house in it that doesn’t do anything, then you can do something three or four times a year. If it’s your operating business, and you’re signing documents, changing CPAs, opening a bank account, borrowing money, lending money, doing any kind of benefits at all, there’s hundreds of things, those need be documented on time. So there you go. I’m just giving you a little piece of advice, that maybe will help you with your own business. Mike: That’s good, that’s good. So let’s talk about, if people are listening to us right now, I’m sure there are some folks that are saying, “Oh, crap I’m not set up right or whatever.” I mean none of this is meant to strike fear in people. It’s just to have them prepared for being able to optimize or maximize some of the benefits of having a corporate entity, and then secondly protect yourself in the event that you get sued or something like that. So let’s talk about… I would say the general advice obviously, if people that haven’t started yet is get professional advice. Right? Aaron: Get some advice. Yeah, go to a lawyer, go to a CPA. You may get slightly different answers from them. Or go to somebody like me or somebody that is helping thousands and thousands of companies be more successful. And it’s all like, I’m not trying to make this about me, but the fact is I’ve been doing this for 33 years now, I’ve made millions and millions of dollars doing this work, and I currently, and most of my career has been business to business, I work with tens of thousands of companies now. I see what works and what doesn’t work. So when you get with somebody, I don’t care who it is, but find somebody who actually knows what the heck they’re talking about. And it’s not theoretical, they’ve actually been… they’ve been in the courtroom, they’ve been in an audit, they’ve seen lots of different things, and they’ve dealt with different things. People say, “Well, I’ll talk to my lawyer.” News flash everybody, you don’t have a lawyer, okay? If you’re a small business owner you don’t have a lawyer. You think you have because you have a cousin who is a lawyer. Right? You think you have a lawyer. There’s somebody at church who’s a lawyer. Okay, that’s not your lawyer first of all. Second of all, you need a contract lawyer, but you’re talking to a real estate lawyer. You need a real estate lawyer but you’re talking to a patent lawyer. You need a patent lawyer but you’re talking to a divorce lawyer. And I promise you, you don’t want to get brain surgery done by somebody who’s an expert in feet. Lawyers will tell you, “I don’t know anything about patent law. I do contract law.” So talk to somebody who actually knows what they’re talking about, otherwise you’re just getting advice. And advice will sink a ship faster than anything I’ve ever seen. Mike: Yeah. I think a lot of people tend to… I would say real state investors, especially my type of real estate investor that’s buying distressed stuff, it gets to a point where you have a hard time paying retail for anything. But one thing that I’ve learned for sure is and I’ve seen this in my personal life, we’ve been through a few different CPAs, and we had one that was very conservative, overly conservative and what you start to see is… use a CPA for example, it could be attorneys as well, they don’t take any risk. They don’t get any benefit for getting you more money back. They would just rather stay safe and stay away from things. And they are happy to say that they’ve never been audited before. But what I found out is that sounded good to me originally, but that’s the wrong guy. What I found is… then we have a guy who says, “I’m going to take it to the line every time. And if they come at me here’s what I’m going to say, if we get audited here’s what I’m going to do, I’ve been audited many times. I’ve never lost an audit.” And you want somebody that was willing to take it to the line for you and get you the most you possibly can get back. Otherwise you probably leave the money on the table. Aaron: Yes, so let me just give you my thought on that. First of all, you’re right, if somebody says, “I’ve never been audited, none of my clients have ever been audited.” The reason you don’t want that person is because they don’t play in the same field as you do. They’re literally… and you’re in the minors at least if not in the professional baseball, you’re major league baseball. You don’t want somebody who doesn’t… no offense because H&R Block is actually a partner of ours, and H&R Block is not the ideal person for somebody who’s really running a business. It’s good for a W2 employee. Aaron: I don’t know how you came to all of these pages of numbers, and yet I’m signing it under penalty of perjury up to five years in prison if you do it wrong. And so what you want to do is find somebody who isn’t trying to at the end of the year figure out how to squeeze every penny. What you want to do is get a good accountant who works with you at the beginning of the year to plan the year in advance. And when you make certain decisions… I’ll tell you something else. You said you’ve gone through several accountants. Did you know you need a board of resolution every time you change towns? So you didn’t know that but now I’m just telling you. Mike: You saw that look in my eye. Aaron: I did. Anyway the point is, we as business owners have a responsibility as part of our stewardship to know enough about what we’re doing, that we can direct people like our accountant, or our lawyer, or anybody else. We don’t have to know everything that’s in the tax code, but we need to know enough that we can be affirmative and very intentional in what we want to have done. Rather than being at the mercy of somebody who we’ve just given up, we’re abdicated our authority to. Do I sound like I’ve been around this for a while? Aaron: I meet so many people who end up in real trouble because they took advice from somebody that they, or not even advice, they let somebody move them in a direction because they thought, “Well this person knows so much more than me, I’m just not going to learn about it. I’m just going to give into what they say.” And all your folks that are out there, here’s the deal. When the market crashed in ’08, I saw thousands of clients just evaporate. Most of them were real estate or people that supported real estate. I’m seeing them coming back now, the real estate market is warming up again and in some areas is super hot. Some people will even say in some areas the big money’s already been made. Here’s what I know. The ones that survived were ones that made smart business decisions all the way along the way, and they did it because they were getting counsel from people who knew how to run a business, didn’t just know how to flip a house. And your people that are listening are already ahead of the curve because they’re getting education, and so now what we want to do is make sure that they get the education and act on what they learn. And when they act on it and keep themselves safe, and make prudent decisions and take affirmative control of their destiny, they’re the ones that when the next adjustment happens in the market. They’re going to be the ones buying up all the distress, that really distressed, really low stuff. Anyway, you know what I’m saying. Mike: Yeah, we talk about that on our show all the time. Treat it like a business versus a hobby and I think a lot of real estate investors… you’ve got to hustle early on. You’ve got to hustle forever. This is not an easy business. But I would say the more you can treat yourself like a business and have your yourself buttoned up from corporate entity to who your team is, whether that’s the attorneys, tax advisors, CPAs, all those things, is really critical to you being able to kind of stand the test of time, weather ups and downs in the business, all those things because you’re set up like a business. You’re not just flying by the seat of your pants doing transaction to transaction. Aaron: That’s exactly right. If people take a little bit of time, it doesn’t take months or years, if they’ll take a little bit of time and say, “What is the outcome I’m trying to achieve exactly?” and they make a path and they say, “Okay, what assets?” I don’t mean physical assets like a house. “What assets I’m going to need to make a safe journey down that road?” Those are the ones who end up making real wealth, and not just quick bucks because everybody can make money in a certain kind of market. And I hope that your folks will both take these several things that we’ve talked about here and just consider, does that apply to me and if so what am I going to do instead of just hearing it in one ear and out the other because there’s some hot deal today. I’ve got this meeting, I’ve got this closing, I’ve got to go get another investor. I really hope that people will take just a minute and think about the business instead of just about how to make money today. Mike: Sure. Sure absolutely. Well Aaron we’re out of time. We didn’t get to talk about any tax stuff so we might have to have you back another time my friend. But maybe you could just take a couple minutes here and just kind of wrap everything up and just give some advice to folks that this stuff is really resonating with. Aaron: Okay. We’re at the beginning of a presidential cycle. We’re going to hear all kinds of political ads, we’re going to hear all this stuff over the next year and in a couple months. I want you to know this, the federal government is completely clear that they don’t know how to make money. They only know how to exact money to take it and spend it on social programs. And we need roads and we need infrastructure, we need fire, police and schools, we need all that. They also know that of the 350 million people in this country, the vast, vast, majority of them are very happy to show up for work and put in their eight hours, and hit 7-11 on their way home and buy a lottery ticket, and get a Slurpee. And then go play with their kids or watch TV or do whatever they do at night, and get up and repeat the same day over and over again. The government knows this. They also know that there’s only a very tiny sliver of the population who is insane enough to start their own business, and go to business as an entrepreneur. And you’re listening to me right now, all the people that should be locked up probably because you’ll take grandma and grandpa’s loan and you’ll mortgage your house, and you’ll get 10 credit cards and max them all out to go pursue your dream. The government knows they need you because you employ most of the people, you buy the health insurance, you keep the local economy going, they need you. So they’ve given you protection and incentive. They’ve said we will insulate you in a corporation LLC so that if your business fails, and 80% of them do, instead of just being burned up on the ground, you can get up and start over. They also say we’ll give you tax incentives, we’ll give you tax credits that W2 employees don’t get. All they say is go do this, go out and do your work take the risk, fail, get back up and go again, and we’ll give you all these protections and all these incentives as long as you follow the rules. So folks, it’s critical that you know the rules and if you follow the rules, you will be safe. If you follow the rules you will survive an audit. If you follow the rules, your corporate veil will never get pierced ever and you’ll be protected and the government will help you. But if you don’t, if you don’t follow the rules and you fly by the seat of your pants and you think I’ll get to it later, then well the scriptures say, if you act like that then you have no promise, which means you’re on your own kiddo. And you never have to be that way and the cost to have those things done and to be in line is not thousands or tens of thousands. It’s hundreds of dollars. So take the time to learn about how to be a good steward for your business, and your business will survive the ups and downs. You’ll make a lot of money and hopefully have a great legacy to pass on to the next generation. Mike: Awesome Aaron. Thanks that was fantastic. Maybe you could take just a minute and tell folks how they learn more about how to get a hold of you or your company if they’re interested. Aaron: Oh, sure. Thank you for asking. If they want to talk to the company, go to LaughlinUSA.com. L-A-U-G-H-L-I-NUSA .com. LaughlinUSA.com. Or if they want to learn more about me, they can go to AaronScottYoung.com. So it’s my full name A-A-R-O-N-S-C-O-T-T-Y-O-U-N-G AaronScottYoung.com and there they can find out about my books, my podcast, where I’m giving a talk, that kind of stuff. Mike: Awesome. We’ll add links down below for those that are maybe driving right now and can’t get to it right now. We’ll add them to the site. So Aaron, thanks so much for your time today. Thanks for shedding some light on everything. And for those that listened in, make sure you’re protected, make sure you’re set up right and make sure you’re running your business like a business that can stand the test of time. So Aaron, thanks again for being with us today. Are you a member of FlipNerd.com, the most robust real estate investing platform in existence, where you can find off-market wholesale deals and great vendors literally in your market? You can get access to advice from experts and learn about local clubs and events right in your backyard. If not, please visit FlipNerd.com and register for a free account. You can register in less than a minute. 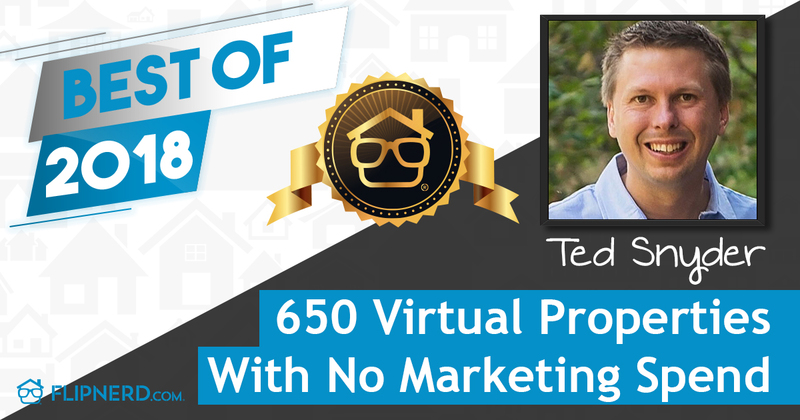 It’s pretty much the coolest site that’s ever existed in the real estate investing industry. So get on over to FlipNerd.com.